Tervetuloa 10. Helsinki-Satakunta-Helsinki -brevetille. Aikaa 600 km pyöräilyyn on tasan 40 tuntia. Tällä kerralla tarjolla myös 1000 km reittivaihtoehto (katso lisää sivun lopusta). Hinta 20 euroa + ACP-kausimaksu 10 euroa. Brevet-kortin ja tielistan lisäksi osallistumismaksu sisältää bag dropin, ruuan ja majoituksen Jokisaunalla noin 340 km kohdalla. Helsinki-Satakunta-Helsingin reitti kulkee tällä kertaa Vanhan Rauman kautta. Welcome to 8th Helsinki-Satakunta-Helsinki brevet. 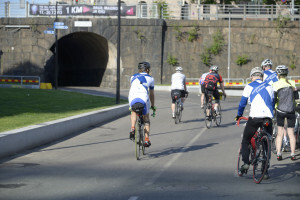 You’ll have 40 hours to ride the 600 km route. There is also option for 1000 km route. Registeration latest 6.6. with form. Price 20 euros + local ACP-season fee 10 euros. Includes brevet card and cue sheet. There is a control with bag drop, food and sleeping quarters at Jokisauna 340 km from start. 10th Helsinki-Satakunta-Helsinki brevet’s route goes to Vanha Rauma. 1000 km riders ride first 340 km with 600 km riders. The extra 400 km loop will start after the control at Jokisauna and follow the 600 km brevets route to finish. Route is here. For 1000 km you have 75 hours. Details on accommodation and services will be based on number of participants for the 1000 km option. Controls are Karvia (bar, 155/495 km), Pori (restaurant/shop, 290/630 km) and Huittinen (restaurant/shop, 360/700 km).